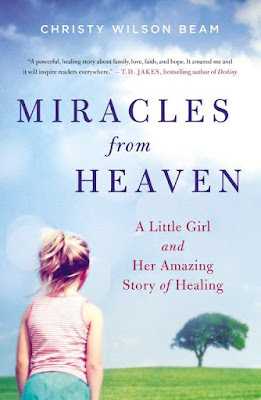 Money Market Tips: MIRACLES- MANY MIRACLES IN MY LIFE- READ THE REAL STORY. When my son was born, he had jaundice. They wanted to do a blood transfusion, I called my pastor who called the "call chain" my husband and I decided to just take him home, and by the time we got home, our pastor was there and we all prayed. My son was "pink" after that prayer and is a wonderful Christian man at the age of 40. Another miracle, I got called into work early and on my way, I hit a patch of ice and had a head-on collision, before we made impact, I cried out to God...HELP ME GOD! BAM...had to be cut out of the car, but everyone walked away with just scratches! Amen! I was a midnight waitress for 27 years. I was robbed several times during that time, and never got hurt! Some got the money and other's didn't. Each time, I would be praying, Dear God, it's me, Rhonda I need help now! I talked two out of robbing me and one of those robber's had a gun! The most dangerous robbery was with four men, I had an instinct that I was going to get robbed, but talked myself out of it...well they put a gun to my head and got the money, I was praying the whole time. When one of them said, "let's put her in the car" that's when I politely told them..."Shoot me now! I'm not getting in a car with four men!" I started praying out loud and they turned and ran away, short story, the all got caught, I had to see them for several years for court, we all became friends and all was forgiven. Lesson learned...ALWAYS FOLLOW YOUR INSTINCT'S!! I made a promise that night, and have kept that promise to God! Over the course of my 62 years of a blest life, I have witnessed many other miracles. I'm sure there are more to come.